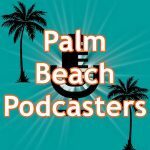 I recorded this podcast with Jason Parsley, Executive Editor of the South Florida Gay News about a month ago, guys, and I'm so excited to finally bring you this episode! As a main face of the WPBF Channel 25 Weather team, Sandra Shaw is a leader in the field of meteorology and an inspiration to determined young scientists everywhere! !